This image shows railroad ties being removed from the treating plant. They are being pulled by Porter Steamer #32. 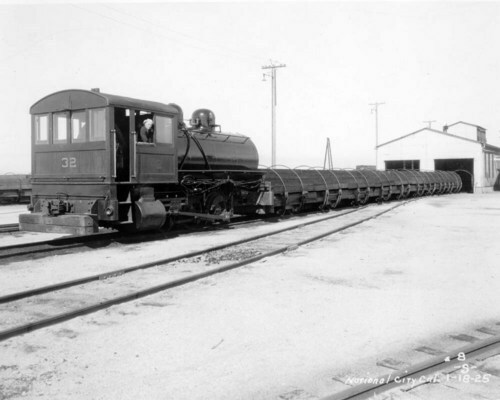 The photograph was taken at the AT&SF National City (CA) tie treating plan on January 18, 1925.